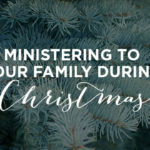 The term “Family Ministry” is a buzz phrase hailed across denominations as THE area where we need to focus our efforts. But, are our attempts to help families in our churches actually damaging parents’ abilities to productively participate in the spiritual lives and education of their children? Pause for a moment and think about the family ministry of your church. Are you fostering parents’ dependence on you for the spiritual leadership in the lives of their kids? Or are you equipping parents to step up to the roles they’ve been mandated by God for the spiritual development of their kids? Here are a few key questions to keep in mind as you develop goals for your ministry. Have I chosen a good time for this activity? Does this activity interfere with quality family time that should be spent at home? How is the program or activity building up families? How much time do families spend together while at church? Are we offering classes that will equip parents to take a spiritual lead at home–such as leading a child to Christ? Below are a few suggestions to help your ministry truly become a “Family Friendly” church. Offer family-friendly worship times (at least periodically, if not every week). Encourage “God talks” at home by supplying resources for healthy family spiritual growth, such as discussion questions, prayer guides, books, and videos. Plan family fellowships such as movie nights, gym nights, and game nights–but not so many that they become reliant on you for entertainment. Help families develop a missional mindset by organizing service projects so that families can serve others together. 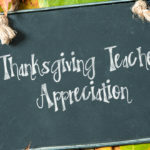 What a gift you can give to parents when they not only get to participate in, but actually take the reins for what can be a life-changing direction for their kids! Klista Storts serves as an Editorial Ministry Specialist. Before coming to LifeWay, she served as the Weekday and Preschool Specialist at the Tennessee Baptist Convention and as Director of Preschool Ministries at churches in Oklahoma and Tennessee. Klista has a passion for equipping leaders to share the love of Christ and lay foundations for conversion in the lives of kids. 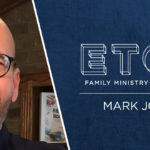 ETCH Spotlight: Meet Mark Jones!